Shooting stars, Lucky Charms, and my coolest sponsor yet. As a junior in college, I took a semester off to live on a 25′ sailboat. 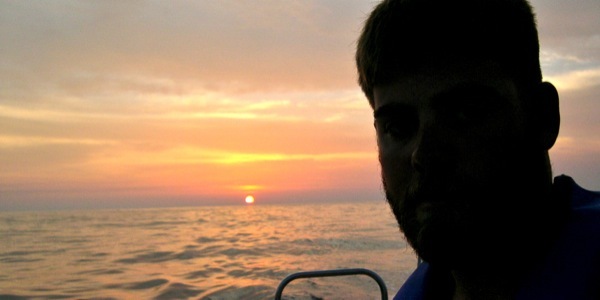 After living on it for several months, I left the dock and sailed from Orange Beach, Al to Key West, Fl. I pulled out of Carabelle just after noon on Wednesday. In preparation for the 150 mile voyage ahead, I’d stocked my 25′ sailboat with jugs of water, cans of tuna, boxes of pop tarts, and one special treat–a pint of milk and a box of Lucky Charms. My destination was Clearwater, on Florida’s west coast, and it would likely take me upwards of 40 hours to make the trip. I had never done anything remotely like this before. A long-time goal of mine, however, had been to watch the sun set and then rise again over water, completely out of sight of land. So through the pass I went, out into the open Gulf. As advertised, the breathtaking sunset gave way to an incredible light show in the sky. The new moon stayed hidden, allowing more stars than I ever dreamed existed to light up the sky. I saw shooting stars for the first time ever. As dawn approached and the sun made its grand reappearance to the east, I went down below, opened my celebratory box of Lucky Charms and fished the milk out of the cooler. I immediately had an uneasy feeling as the Florida June heat inside my un-airconditioned boat had already turned the 20lbs of ice I’d filled the cooler with the day before into a warm puddle. With the excitement from the night before quickly wearing off, I poured the questionable milk over the not-so-lucky charms. The first spoonful confirmed my fears and, devastated, I was forced to dump the whole bowl overboard. I was so looking forward to a cold bowl of cereal after surviving my first-ever night offshore, a warm cooler derailed my whole morning. 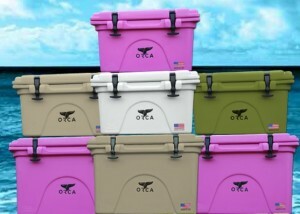 I tell you the story above so you can properly appreciate my excitement when I found out the folks at Orca Coolers up in Nashville are going to send me a couple of their super-coolers to try out on the boat! These things are touted to hold ice up to something ridiculous like 10 days, have a lifetime warranty, and and they’re 100% made in the USA. To say I’m anxiously awaiting the UPS man is an understatement. You best believe the first thing I’m going to do when they arrive is put a pint of 2% inside and give it the Lucky Charms test. Bo is currently living in Orange Beach, Alabama working towards checking #31 off his bucket list. If you’d like to be a part of the adventure, consider sponsoring a mile. Paid ads are not accepted on this site, however, Bo does occasionally recommend or endorse products he believes in.